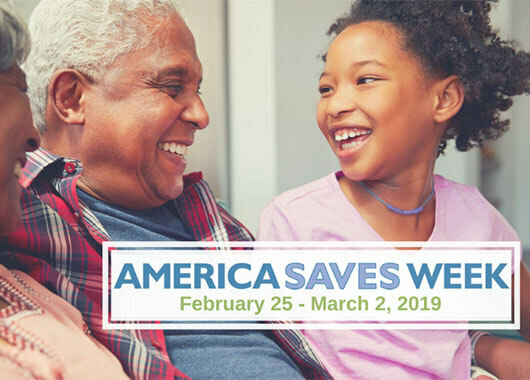 Celebrate America Saves Week with us from February 25 through March 2! Watch our Facebook, Instagram, and Twitter for daily savings themes, highlights of what local members are saving for, and fun contests. And don’t forget to help friends and family save this America Saves Week by referring them to join Idaho Central! Bulk up your savings during America Saves Week! Now through March 2, 2019, every referral you give earns $100 for you AND $100 for your friend! Take advantage of this promo before it expires for the most saving power. In addition to this $100 bonus, we offer our members even more great ways to save! For Idaho Central, and credit unions all over the world, International Credit Union Day provides an opportunity to reflect and celebrate the history and success of the “People Helping People” philosophy. 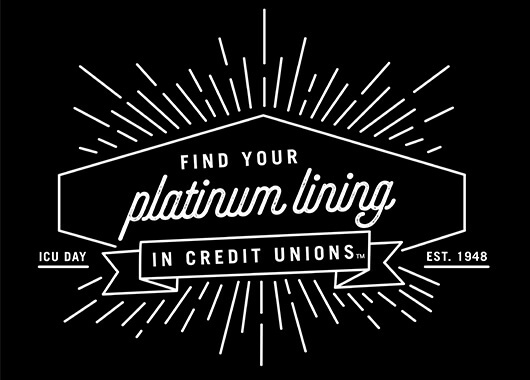 This year’s theme emphasizes the credit union movement’s loyalty to its members and its mission to provide them financial support and guidance. For Idaho Central, and credit unions all over the world, this day provides an opportunity to reflect and celebrate the history and success of the “People Helping People” philosophy. This year’s theme emphasizes the credit union movement’s loyalty to its members and its mission to provide them financial support and guidance. Credit unions across the world are committed to their communities, offering financial services and education and returning profits to their members. To learn more about what credit unions are and how they differ from other financial institutions, please contact an Idaho Central team member today! With the new school year comes new changes. Thinking about opening a savings or even a checking for your child? Here are some updates about our youth accounts. 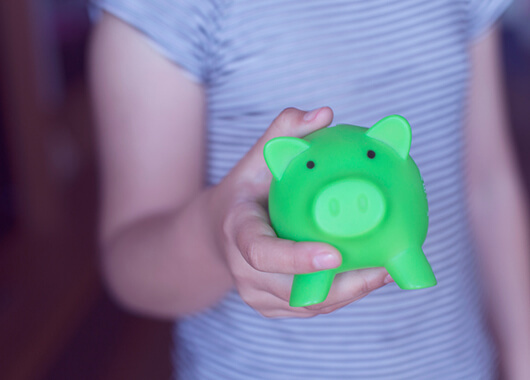 Youth savings and checking accounts are an important start to your financial success. Do you remember your first account? Here are some updates on our accounts. Central Explorer and New Generation accounts no longer exist. If you had one of these accounts, you will be transitioned to the current account for your age after receiving a 30-day notice. These new accounts are simpler and more beneficial for our members. Starter Checking is available at 12 years old. We see more and more youth opening checking accounts and starting young with a job and learning about responsible saving and spending. Starter Savings members can enter to win a quarterly prize for every “A” they receive on a report card (report card with 3 As = 3 entries) or every deposit of $10 or more they make (one deposit of $50 = one entry). Every quarter, EVERY BRANCH will now have a winner! The winners will receive $50 to go in their savings account or to purchase something they’ve been saving for. If you win, we will take your picture with a giant $50 bill! Have any questions? You can read more on our website about Youth Accounts, Savings Accounts, and Checking Accounts. Or you can visit a branch near you. Idaho Central Credit Union is thrilled to have the opportunity to partner with another local high school on a student-run branch. Student-run branches provide a unique hands-on learning opportunity for all of those involved. 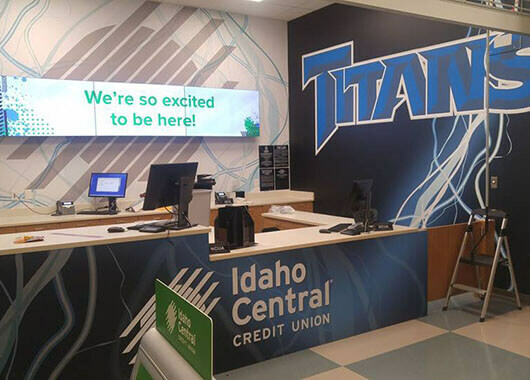 Idaho Central Credit Union is thrilled to have the opportunity to partner with another local high school on a student-run branch. This is the second student-run branch Idaho Central has had the chance to be a part of. Student-run branches provide a unique hands-on learning opportunity for all of those involved. Interns gain valuable communication, professional and technical skills while those students who utilize the branch services can learn smart financial habits and become better prepared to make solid financial decisions after they leave high school. A U.S. Department of the Treasury study found that in-school branches increased account ownership and improved attitudes toward banking in addition to improving attitudes about saving and working with financial institutions. Idaho Central Credit Union currently has 50 full time employees who started out as interns. Seherzada Dzaferovic, Idaho Central’s Mountain View Branch Manager began her career as in intern in the Idaho Central Mountain View High School Branch. “The internship was one of the best things that has happened to me. It provided me personal and professional development, long lasting friendships, and challenged me to continuously work on bettering myself. I am who I am today because of the amazing mentors I had along the way that believed in me and constantly pushed me to work harder. With hard work came my dream career and I couldn’t be more happy,” said Dzaferovic. Students working at the Thunder Ridge Branch will be mentored by Nate James, who has been with Idaho Central since 2014. “The branch is a great opportunity for the student interns to develop healthy financial habits and then teach them to their peers. The branch has drawn a lot of positive interest within the community,” said James. Thunder Ridge branch hours are 12:00pm-2:45pm every weekday aside from Wednesday. Wednesday hours are 11:00am- 1:45pm. The Green Team volunteered at Portneuf Valley Paintfest as one way to give back to local Idaho communities in June. Paintfest combines community volunteers and sponsorship dollars to paint the exterior of homes for qualified senior citizens in Pocatello and Chubbuck. Founded in 1987, this program has painted over 600 homes since its inception. After working all day, the Green Team would gather after work or on the weekend to volunteer. In one week of Paintfest, the Green Team volunteered over 650 hours by over 160 volunteers from 21 different departments and branches. The heart of Idaho Central is in its Green Team and the causes they care about. Four Idaho Central employees currently fill four leadership positions with Paintfest, two on the board and two as team captains to coordinate painting efforts with the community. 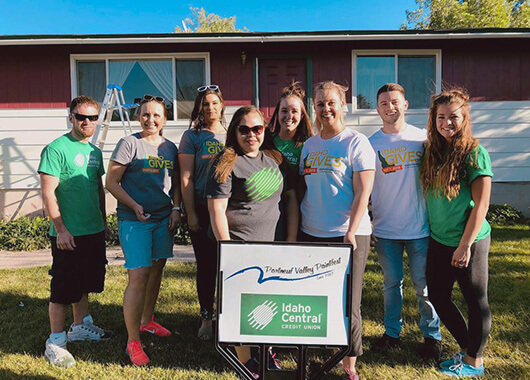 The level of commitment from the Green Team to help in the community is the reason Idaho Central Credit Union can continue to give back to the community in this way. Idaho Central is grateful for team members who care and continue to show that green really is the color of love.